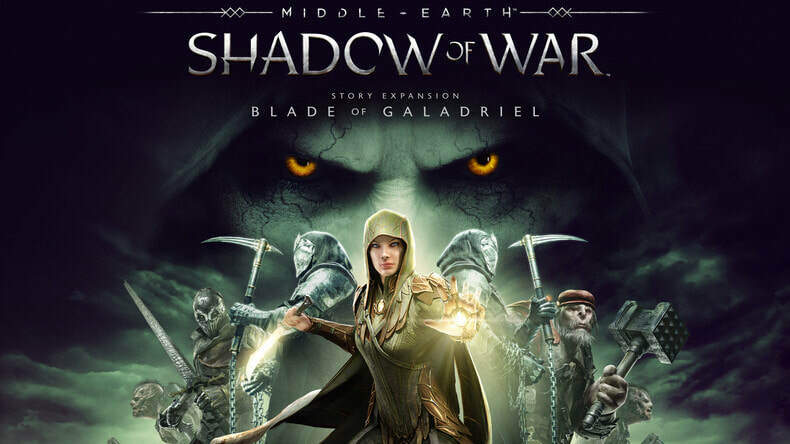 Go behind enemy lines to forge your army, conquer Fortresses and dominate Mordor from within and confront the full power of the Dark Lord Sauron and his Ringwraiths in this epic story of Middle-earth. I worked as a Quality Assurance Analyst focusing on Audio implementation and overall sound quality for AAA PC and console development during my time at Monolith. We released two full story expansions as well as new game updates and additional content. As apart of my team, I assisted the development team in creating the best possible experience for players possible. I orchestrated the music for this project. This project has also been featured on three videos courtesy of Rooster Teeth and Rage Quit. Available now on the Google Play Store, DollDrop is a mobile game with motion controls designed for Android. You drop dolls down dubious deathtraps while tilting your device to navigate your dolls to the goal while collecting as much gold along the way as you can. I created all of the sound design in DollDrop working with the designer. Additionally, I worked in conjunction with two other composers to create the 12 song soundtrack for this project. RumbleTV is a multiplayer first-person shooter with MOBA elements where players pick one of three types of convicts and fight for freedom on a prison planet for live entertainment. 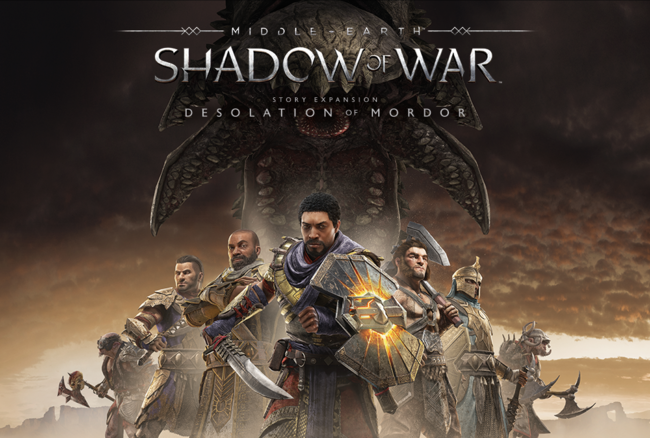 Players work together to overtake objectives and fight other teams of players, working to gain experience and use special abilities to defeat the opposing team. I managed an audio team of 4 people on this project. My responsibilities also included creating 50% of the in-game SFX and implementing assets in Unreal 4. Additionally, I cast, recorded, edited, and produced 100+ VO files in-game. Play as Orion, the great hunter of myth, on his journey through the mysterious lands of Krino. With only his bow, he will run, climb, and teleport his way around the ever-changing environment, where he must prove himself worthy to the Gods of Olympus. If he succeeds, the reward is immortality; if he fails, he is doomed to the depths of the Underworld. Is your choice worthy of an Ascension? I was responsible for recording, editing, and producing VO as well as some sound design. From the mind of creative director Mason comes Lord of the Bats, a 2D side-scrolling platformer. Journey with Private Battede as you traverse the Cactus and Desert, climb Mt. Loopemus, and stop the evil that has taken hold of the bat kingdom. Control your bat familiars to solve tricky puzzles and collect all the coins in each level. Can you locate the magic fruit and save the bat kingdom? ÆON is a third person adventure game where you take control of Orion the star constellation. The stars have fallen, and Orion must return them to their rightful place while Erebus makes an effort to undermine you as you progress. Players can rebuild the fallen constellation Orion as he explores a desolate mythological plane and discovers what true power really means. I was responsible for the music, sound design, and VO for this project. I composed 11 custom music tracks, 2 featuring live vocal performance​ by Alexandra Lucas. As well as 50 SFX assets from scratch, varying from simple to complex. And 400 VO assets for three in-game characters, Artemis, Orion, and Erebus. Take a twisted version of “Hot Potato”, a bunch of lovable robots, hilarious color commentary and what do you get? MASHBALL! It’s the chaotic, arena combat sports broadcast you never knew you loved! Mashball features FREE4ALL and 2V2 game modes, two unique level sets, and a plethora of power-ups. Choose your favorite “tater-bot,” your favorite ability and challenge your friends. With support for up to four players, it’s fun for everyone! Mashball features a fully dynamic crowd source. Implementation is occurring via Fmod and a custom audio engine. Rafflesia is a sci-fi cooperative split-screen first-person shooter where the players assume the roles of two exterminator called in to take out a colossal plant. Rafflesia, a corpse flower, has taken root in a sewage facility and could potentially do catastrophic damage to the neighboring metropolis. The exterminators are in for one epic battle to keep the city clean. I managed a team of audio students to create all of the content in Rafflesia in three weeks. I am responsible for the VO and most of the Sound Design. Infernus is an experimental level-design project focused on creating a creepy and atmospheric first-person experience. Infernus was a solo design project, utilizing the Unity game engine and making heavy use of materials available on the Unity asset store. The primary goal of Infernus was to craft a small set of highly polished levels that could be implemented in a first/third person game set in the survival horror or role-playing genre. I was responsible for recording and delivering 100 VO assets recorded and processed in Pro Tools. ​Coffee Break is a 2.5 D arena combat game with shifting objectives and a retro-futuristic aesthetic. Players take the role of overstressed office workers in the employ of a faceless, soul-crushing megacorporation. In order to squeeze more productivity out of its anemic workforce, the company has organized a morale event revolving around an intra-office fight club. Make the most of your Coffee Break! I was responsible for working on the sound design and VO for this project. Implementation was handled through Fmod studio. This project contains over 900 voice files and 200 SFX. Mica-Chew is a 3D Tower Defense game where the player helps Ulb defend the core by using his three minions variations. These minion towers include: Frank the tank, Bob the assassin and Fred the DPS. You must be careful in Mica-Chew as there are corresponding evil minions in search of your core's destruction! I was the sound designer on this team. Implementation was done via Fmod and a custom audio engine. This project featured roughly 200 sound assets. Just as quickly as projects can fall apart, they can be collected. Seven weeks before submission I was asked to join this team and assist with the overall soundscape. Since then, I have created a team of sound designers to ensure that the project is completed by the deadline. After joining, the implementation for audio was changed to Fmod Studio for quick iteration. I am responsible for managing a team of five and determining the final in-game assets. XM-13 is a 3rd Person mech-shooter focused on fast gameplay and intense combat scenarios. You will pilot an Experimental Mech into the hotly contested zone of Galaxon VI, where a group of fringe separatists have taken hold of the vast seas of the volatile energy source Tetronium​.The Federation is desperate to stop whatever plans the separatists have in store and perhaps cover up something darker. I was responsible for the music, sound design, and VO for XM-13: Deadly Assault. The game featured over 100 lines of dialogue.